At Kollecto, we’ve been helping some awesome people buy their first pieces of art. However, we have lots of people on the waiting list and it’s tempting us to go full-throttle into ‘scaling mode’. Because in order to scale, you have to spend time ‘getting ready’ & ‘aiming’ first! That’s what we’re doing this week (and next). 1) We started tracking our clients using StrideApp’s super simple CRM tool. 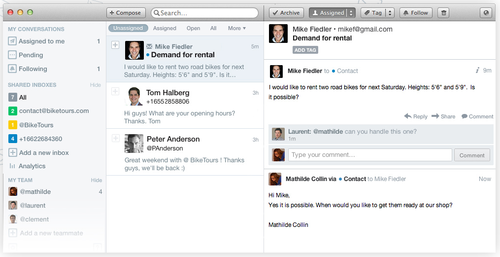 2) We started using FrontApp so Advisors now have a simple shared inbox for coordination & collaboration. All of this is helping us get ready before we scale. If you’re on the waiting list, hold tight- we’re almost ready for you! Apps Without Code Blog Ready, Aim, Scale!